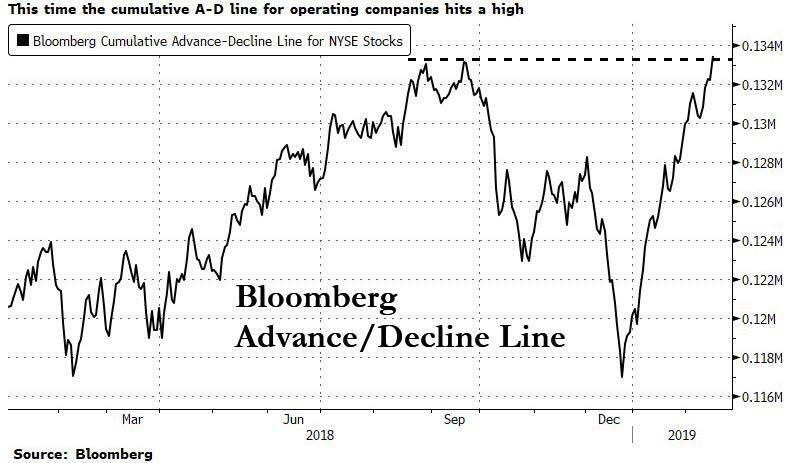 Back in December, when the S&P was breaking down and taking out every support level, the financial press was flooded with cheesy headlines warning of "bad breadth" as decliners steamrolled advancers. 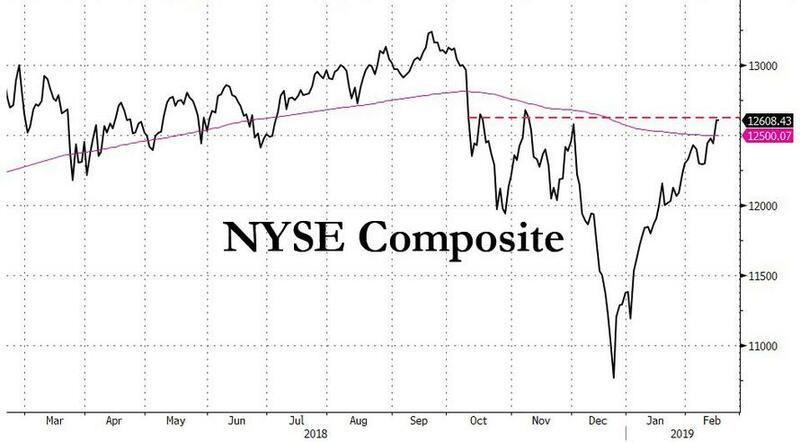 ... it is time to roll out the Mentos, i.e., "good breadth" commercials, because as of Friday's close, Bloomberg notes that NYSE company breadth - advancing stocks over than declining - just hit a record, joining the S&P 500 cumulative advance-decline line and NYSE Composite A-D line at new highs. Meanwhile, as buying begets buying, more optimism can be gleaned from trading patterns because as Nomura noted last night, when looking at historical price patterns when the S&P500 breaches above its 200-day simple moving average (SMA) while its 20-day SMA is below 200-day SMA as is the case currently, suggests a case where S&P500 is likely to make shallow dips before heading higher. Now if only we knew who was buying, this rally would make sense. 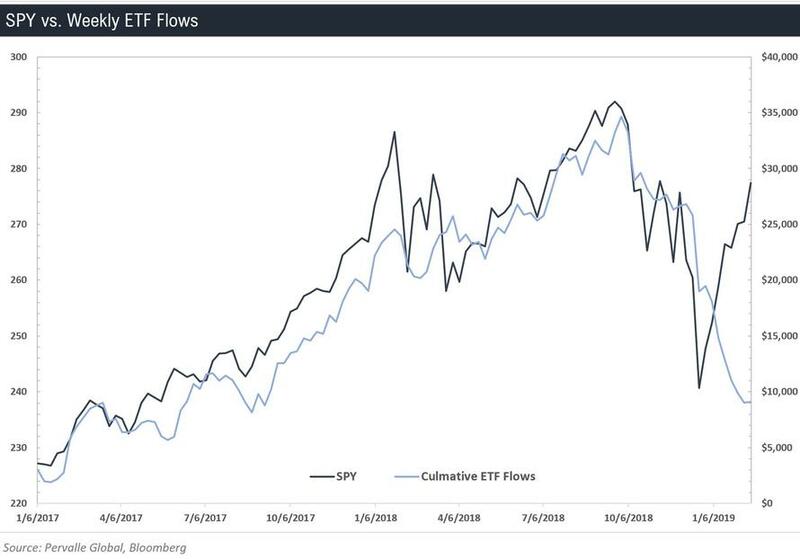 Alas, as discussed extensively over the past month, the big question with the current rally is that aside for short covering and stock buybacks, investors have been patiently dumping stocks the higher the market goes, begging the question who throws in the towel first, shorts and CFOs buying back their stock, or the general public, which refuses to trust this ongoing rally, despite 8 straight weeks of gains.